Some of our best cycle rides were ones that began with us picking up an OS map and wondering "So how far do we want to go?" This, of course, works best if you're visiting an area that's criss-crossed by many small roads, so you can zigzag along the lanes without having to deal with too much fast traffic. 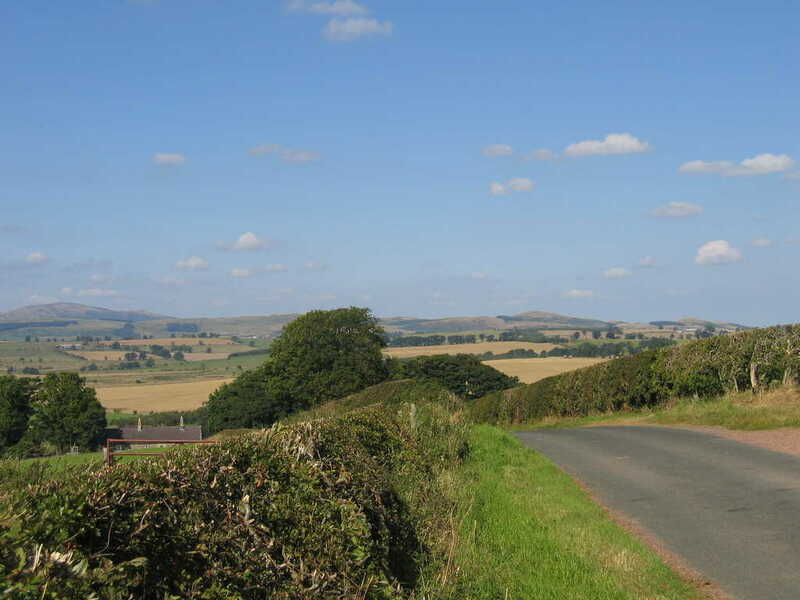 Cycling in Northumberland can be a little hard on the legs, but the views and the lack of traffic come up trumps here. And one of the best rides ever to come out of that 'lets find a map' approach is a circular ride we did from Rothbury in Coquetdale. Rothbury is a useful starting point for exploring Coquetdale, whether you're doing it by bike or not. 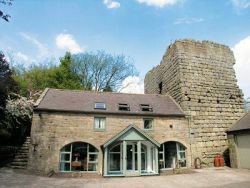 Its a very pleasant, cheerful place, a good base for walking and cycling, and close by are Brinkburn Priory and Cragside House for those who like their explorations a little less strenuous. We rented a cottage in Rothbury for a week and did rides from the door three days out of seven. You can browse some very beautiful holiday cottages on this page. And if you're only coming in for the day, you'll find plenty of parking, and enough pubs, cafes and little shops to keep you amused before and after your ride. You begin by taking a minor road out of Rothbury, heading west towards Hepple. Crossing the main road, you make your way to Holystone, then to Sharperton, Netherton and Yetlington. Follow the old Roman Road from Callaly to Lorbottle Hall, then climb back over the hill and run down into Rothbury. I've used Google's mapping tools to put together the route we followed. (Please be patient if your connection speed is low. Loading the map can take a little time!) At least, this should give you an idea where you're going. Click on the balloons for instructions and notes. Don't plan on having a pub lunch along the way, though. I don't remember passing any pubs of note along the ride and we noticed during our holiday cycling in Northumberland that village pubs were rather scarce in the area. Take a picnic and stop somewhere along The Avenue between Callaly and Lorbottle Hall. Or wait until you're back in Rothbury, of course, where there's plenty of food to be had. I said that cycling in Northumberland can be hard on the legs, and this ride reminds you of that as soon as it starts. Since we had rented a cottage on the other side of the river, we didn't have to start the ride with a stiff climb. But even if you have to, take comfort from the fact that it's relatively short and after you're up the road stays fairly level for some time. You ride past the camp site at Newtown and then - leaving buildings and streets behind - out into the open country. 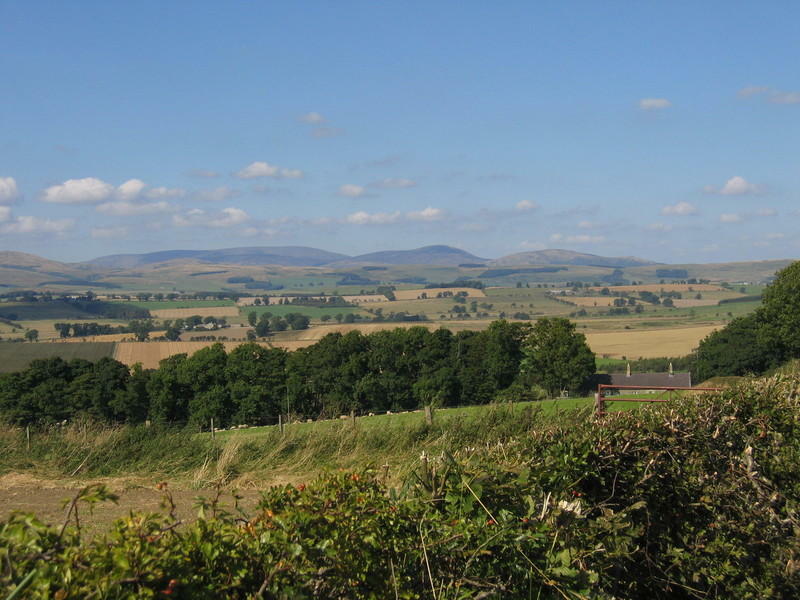 Before you on the horizon are the Cheviot Hills and - with the River Coquet on your right - you have the whole valley spread out in front of you. We did our ride in early September, when the harvest was in full swing. The golds and tans of the ripe and harvested fields added to the blues and greens of the Cheviots. The road you're riding feels 'very high up'. You can see the B6341 on the other side of the valley, but it seems so far away that it doesn't intrude. But after about 4 miles you sweep down towards Hepple to meet with the road and the River Coquet. Keep an eye out for the bridge to your right as you come down the slope. I really liked the look of it. But still, you don't get to ride over. Instead you turn left onto the B6341 for about a quarter of a mile, when you take the next right. Holystone, your next destination, is one of the few villages in the Northumberland National Park. It's pretty and peaceful, but that's not why you've come here. Holystone has a small secret ... but it's signposted from the centre of the village, so you won't miss it. Get off the bike and follow the signs to St Ninian's or Lady's Well - a walled-in pool and a sparkling spring in the deep shadows of ancient trees. Depending on which books you read, you may be looking at a very historical site. On Easter Day in 627AD St Paulinus may have stood here and baptised 3000 heathen Northumbrians. (Or then again, he may have been in York that day!) 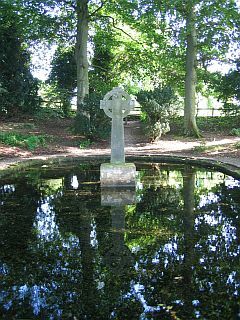 Whether he did or didn't, a stone statue of the saint and a stone cross decorate the well, which was once a watering place beside the Roman road from Redesdale to the coast. I like having historical sites to myself, to contemplate what may or may not have happened there, to pick up the vibes of long past events. And because it's a bit tucked away, or maybe because the main tourist season was over the week we were there ... Holystone was extremely peaceful. I remember it as a place where you sit and think and never notice the time passing. And it was only the thought that we had another 20 miles of cycling in Northumberland to do that finally dragged me away. From Holystone you make your way towards Sharperton and then the lane-dodging really starts. If you've picked your area well, then taking a wrong turn should not matter too much - as long as you can find a village sign at some point and fix your location. We simply love doing this, mainly because you never know what you'll come across next. In our case, it was an hour of glorious nothing! For all I could tell, we might have been the only people around in this part of the world. Did I say cycling in Northumberland had its rewards? Well, this is one of them. We passed a few deserted farms, got chased by a couple of dogs - I've apparently never worked so hard on the back of the tandem! - and once or twice heard the faint sounds of a combine harvester. Apart from that it was just us and Northumberland's endless skies. After some miles of meandering in this fashion signs will point you towards the village of Callaly. You pick up the Roman road, then ride along a beautiful avenue of old trees on the approach to Lorbottle Hall. From here, you point your front wheels south. Yes I know, there's a hill in front of you. But you can't expect to go cycling in Northumberland without climbing at least one hill! This one - up to Cartington - is long, but not excessively steep. Nice and steady does it, and once up you can enjoy the view. This picture is something I dig out when I need cheering up. It reminds me of cycling in Northumberland, of quiet, empty lanes, of a picnic lunch by the side of the road ... and of a couple of broken spokes! The second one went on the climb and while not a show stopper, it's not a desirable event on a cycling holiday. Once we were safely back in Rothbury: down a long descent, then turn left at the bottom to join the main road and roll back into town, we started enquiries for a local bike shop. And if you ever find yourself in a similar predicament, don't worry. Just drive to Alnwick. The guys at Alnwick Cycles in Narrowgate, Alnwick were the bees knees of helpfulness. I'd highly recommend them! So is cycling in Northumberland for you? If you like quiet roads, tranquil villages and beautiful scenery, then the answer is a definite yes. Cycling in Northumberland not your thing? 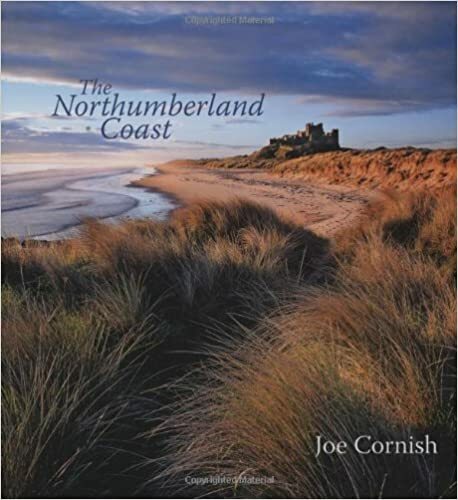 Check out the Northumberland page for other ways to spend your days in this beautiful county. Or browse a selection of Northumberland holiday cottages - they make an ideal base if you're thinking of cycling in Northumberland.